VPS Hosting: The cheap VPS server plans are the golden apple of web hosting services. The VPS hosting is an alternative of very good performance, security and customer support. In addition, this type of service also offers much more capacity than a shared hosting. In VPS you have control over many of the features of a server such as RAM, CPU and Storage. These three items are key when starting a successful web project of great magnitude. But beware, everything is not rosy in a cheap VPS. 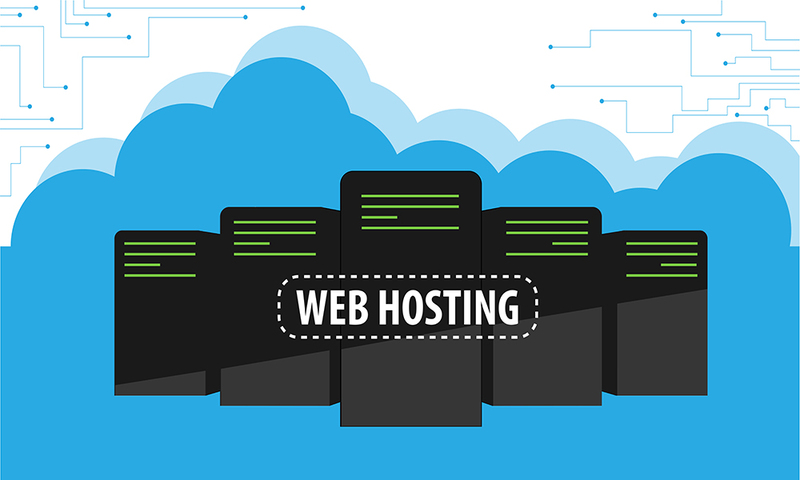 Although it is a more advanced option than the common hosting plans, you do not have absolute control over the server (as if it happens in a dedicated server plan), but what you see is a portion of it, which you share with other VPS clients. As your project grows, you or the site administrators will want more control over the server administration options. This is where everything is pre-determined by the hosting provider. Remember, you only get a part of the server, not its entirety. But this part is still a good portion. So … What is a VPS hosting for? If you already have a shared hosting plan then you should see if you have arrived, or are approaching the limit of traffic or storage perhaps you should consider migrating to a VPS server. Not all VPS hosting plans are the same, that's why we have compiled the best cheap VPS hosting providers, and not only evaluate them in the monetary aspect but also in the features and features. OVH has become a prominent name as an international hosting provider. It was founded in France in 1999, and 19 years later it has expanded to the rest of Europe with subsidiaries in Spain, North America and Africa. OVH has 17 datacenters around the world and has hosted more than 18 million websites. Something quite impressive for a European company. Hostinger is a company that has been in the market for several years. Founded in 2004, in Lithuania, it already has more than 29 million users and is located in 178 countries. Hostinger's VPS services are characterized (like almost all of its services) as being exclusively a cheap VPS and focused on speed. The performance for Hostinger is key, and they offer maximum speed and stability as fundamental pillars of their services. Each server can use an unrestricted connection line of 100 MB / S in addition to storage on ultra-fast SSD disks. We are proud to have a Spanish company among our best cheap VPS services. Nominalia was founded in 1997 with only two people, and now 21 years later it belongs to the Dada Group based in Barcelona and is present in Great Britain, Italy, France, Holland, Portugal and Ireland (with some other names, but the same essence). Nominalia's VPS service is advertised as simple and inexpensive. Its services are oriented to WordPress and eCommerce. The storage is offered in fast SSD disks, a network speed of 100 Mb / s, but in its basic plan only offers GNU / Linux Operating System. Arsys, founded in 1996, has become one of the leading technology companies in web hosting and cloud computing in Spain. It was acquired by 1 & 1 Hosting (United Internet AG) in 2003. According to Arsys, they offer power and performance at the best price. All plans have Intel Xeon servers, from 1 to 8 processors. They offer from 1GB to 16GB of RAM, unlimited transfer and up to 200GB of disk space. Its focus is on customer support, offering 300 professional Spanish-speaking operators with their own call center 24 hours a day, 365 days a week. Acens is a company of the Telefónica de España group, offers services of "Hosting", "Housing" and Telecommunications Solutions for the business market, and is a pioneer in the development of the most complete and competitive Cloud Hosting solutions in the market. It has been active since 1997 and currently offers its services in countries such as Spain, Brazil, Peru and Mexico. In addition, it has two datacenters in Spain with more than 6,000 square meters, being a leading company in its sector of activity. Within the VPS services that we could find in the market, it is a cheap VPS. Acens focuses on privacy and power. It is aimed at professionals with experience in the management of hosting services, who consider it an advantage to be able to act within their VPS by having independence when installing non-standard programs. It is also aimed at developers in the Linux environment of applications and websites (experts in server management). VPS is an acronym that means Virtual Private Server , which in Spanish we could translate it as Virtual Private Server. The VPS is a server, with its own operating system and assigned resources but that lives inside a physical server. As the name says, a VPS is virtual, this means that a powerful physical server is subdivided into smaller logical servers that act using a portion of the physical resources. Although we are talking about using the same physical server, each virtual server is an independent and private unit, that is, it does not share information with the other virtual servers. Physical resources are divided between virtual servers, and no CPU, RAM, or disk space is shared. What advantages does VPS offer me? High performance - Because each VPS has dedicated resources (CPU, RAM, disk space, traffic, bandwidth). Administrator Access to the Server - It's like having a dedicated server. You can configure it to your liking, from the operating system to the web server. In addition to having more control over what happens. Guaranteed security - You do not have to worry about sharing the same hosting space or the same resources with other websites as it happens with shared hosting. It's an isolated environment, what happens to your neighbor will not happen to you. Accessible costs - As we have seen when analyzing each of the providers of cheap VPS hosting, it is not necessary to overload our budget to move to a service with more features, and the jump from a shared hosting to a dedicated one is shortened. Quick configuration - In a matter of minutes you can have a complete operating system installed without the need for complicated technical procedures. When should I change to a VPS hosting? As the content of your website increases, your visitors may experience slow loading of your website. This can happen more often on those web pages that use intensive database services. If you notice that the load times of your web page increase then it is time to migrate. It can also happen that your website becomes popular and visits increase. Greater number of visitors means more traffic. And shared hosting services do not usually offer good alternative plans for high traffic. Upgrade to a cheap VPS service to begin to scale technologically would be ideal. It can happen that your visitors get constant errors when visiting your page. These errors can be like the classic number 503 that announces lack of memory in the server to respond to the requirements (since you share resources with other clients of the hosting). If this happens I recommend that you upgrade to a VPS hosting plan. If it happens that you have hired a shared hosting service and you have had the bad experience of dealing with problems of hacker attacks to it, your site may have been compromised many times. As you share storage space, you are vulnerable to the stormy winds of internet attackers. To avoid this type of problems and to have your site more secure it is highly recommended to change to a VPS hosting. A shared hosting service can only be managed through the classic cPanel. While you can control some aspects of the web server, you cannot do strategies for resource management or installation of applications or extra software. If you need to have more control over your server, and choose the operating system that manages it then it is more than certain that you need to go looking for a cheap VPS. How do we choose the best VPS hosting? There are hundreds of providers of VPS hosting services in the market. Choosing the right one can be a real headache. How do we do it here in Best Web Hosting? It is no secret; it goes without saying that we are here to help you make the best decision for your web project. Although in our reviews we use the term cheap VPS, this does not mean that it is mediocre or limited. Of course to find the best cheap VPS we should look at the prices. VPS services are usually much more expensive than shared hosting. But do not despair as it is possible to find a good, nice and cheap service. You must clearly consider the amount of resources you need for your service when you are looking for a provider. Remember that a VPS hosting is scalable, that is, it is not comparable with other types of services where you cannot evolve. Here the cost that you must review is the comparison between suppliers. In all my reviews I always emphasize that the contact of a company with its clients is one of the most important factors (if not the main one). It is important to be able to resort to the help of the company at any time, and receive a cordial treatment but accompanied by operators who have advanced technical knowledge to be able to solve the concerns in the shortest possible time. Nobody wants to be 2hs on the phone because of a problem. which is resolved in 2 minutes! In addition to availability, another important factor is the number of contact alternatives. A company that can be contacted by email / ticket, online chat and phone is probably the one that will solve the concerns faster because it offers multiple alternatives. There are issues that are better resolved by phone and others better by chat. The first thing that you should notice in your providers is the online time (uptime). A VPS service is much more demanding in relation to this factor since it must be online as long as possible without interruptions. Since you are paying more than it is expected that a service of this caliber is up to a good online guaranteed time (SLA). Ideally you should look for a VPS hosting that offers 99.9% uptime, but a minimum 99.5% could also be considered. With respect to performance, a VPS hosting should offer speeds according to what is contracted, not exceeding 100ms of speed with links far away from the provider's data centers. Now that you know that it is a VPS server and for whom it is oriented, the next step is to know what each cheap VPS plan offers for your business. It can be an arduous task considering all the plans and providers that exist. But which one should I choose? Let's see that they usually offer cheap VPS plans and how to find the best provider. This may seem like a simple thing but it is an important issue to consider. There are two main OS for VPS, Linux or Windows. Many basic early plans of cheap VPS only offer Linux, and if you are not trained to manage it, you may get into a minefield. When you are looking at the plans, the Managed or Not Managed option may appear. If you choose Not Administered it means that you will manage all the technical section of the server, software, applications, etc. If it is very complex for you do not worry, there is the Managed plan where the hosting provider will take care of this task for you. As mentioned previously, it is essential that a VPS service provider (even those with low VPS) offer greater uptime (online time) than a shared hosting. 99.9% would be ideal. The most important aspect of a server's performance depends on the hardware. The higher the CPU, RAM or storage capacity you have the better. And also technology influences here, such as having a plan that offers storage on SSDs is much better than one with common drives. Although the cheap VPS plans are very varied from provider to provider, and the requirements are usually not the same from client to client, it is necessary to know what is needed to find the ideal solution. The cheap VPS hosting exists, it will cost more than a shared hosting but it will give you many more joys and leave you more relaxed.